If you would like to sign up for Emily Howland Elementary's Pre-Kindergarten Program, complete the Pre-K Registration Form here. If you child attended Emily Howland Elementary for Pre-K, he/she will automatically be enrolled in Kindergarten the following year. 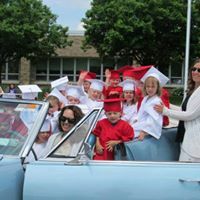 For information about registering your child for Kindergarten for the 18-19 school year, read Mrs. Botsford's letter here. If your child DID NOT attend Emily Howland Elementary for Pre-K, but you want to enroll him/her here for Kindergarten, complete the Kindergarten Registration Form here.